On November 29, 2007, H.E. Mme. 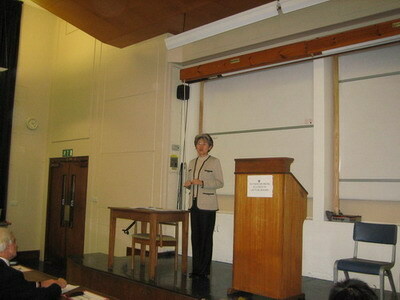 Ambassador Fu Ying delivered a speech named "China's Development: Harmony and Peace" at the Faculty of Asian & Middle Eastern Studies, Cambridge University. Fu Ying began her speech with the poem of Farewell to Cambridge by Xu Zhimo. She then introduced the development strategies of China and core messages from the 17th CPC Congress with the motif of "harmony" and elaborated on profound cultural and diplomatic meaning of "harmony". Fu Ying also introduced general national situations of China as "both big and small" and explained the status quo and foreground of Sino-UK cooperation in cultural, educational, economic and trade with vivid examples and convincing figures. Nearly 200 staff and students of Cambridge University attended. Hans Van de Ven, President of the Faculty of Asian & Middle Eastern Studies, made a welcome speech. The speech and Q&A by Fu Ying won warm applauses from the audience.